This document explains how to capture and edit screenshots in Paint.NET. The dimensions will automatically match the screenshot. Click OK.
Go to File > Save As... or hit Shift-Ctrl-V. Bit Depth: The default is Auto-detect. 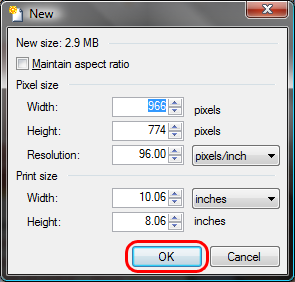 Choosing a lower bit depth will result in a smaller file size. Dithering level: A higher dithering level results in better image quality at a slightly larger file size. 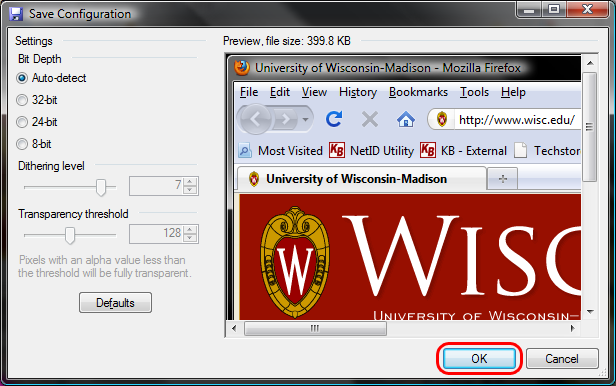 Transparency threshold: The default options are fine so hit OK.
Quality: The default is 95. A larger value for quality will result in better image quality but larger file size.